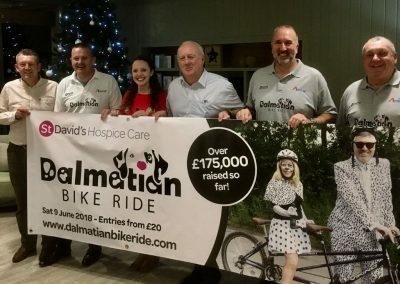 When it comes to helping improve our community there is no stopping The Dalmatian Team who work year-round on different charitable projects. 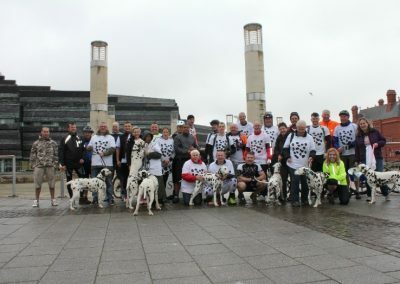 In the gallery below you will see some examples of how Dave Rees and the rest of the Dalmatians are a positive force for the better in South Wales. 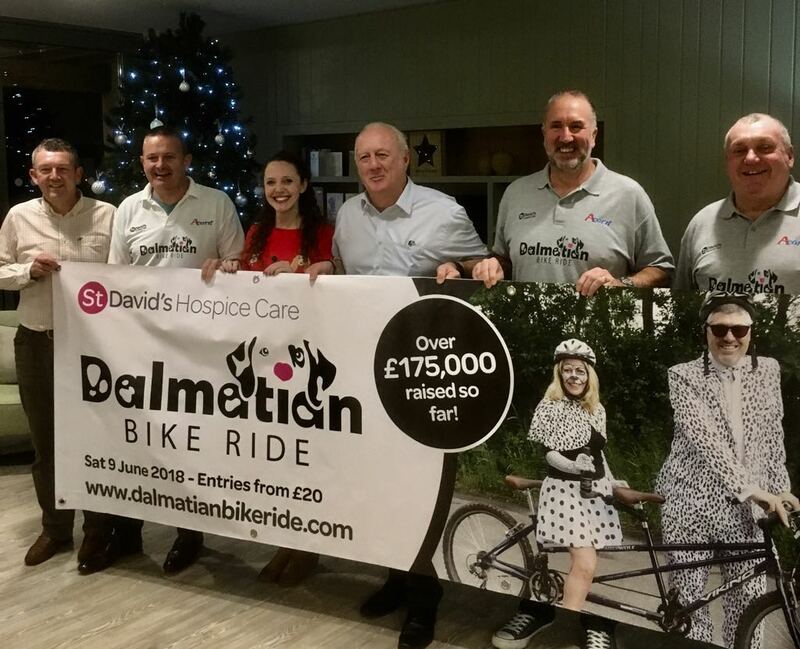 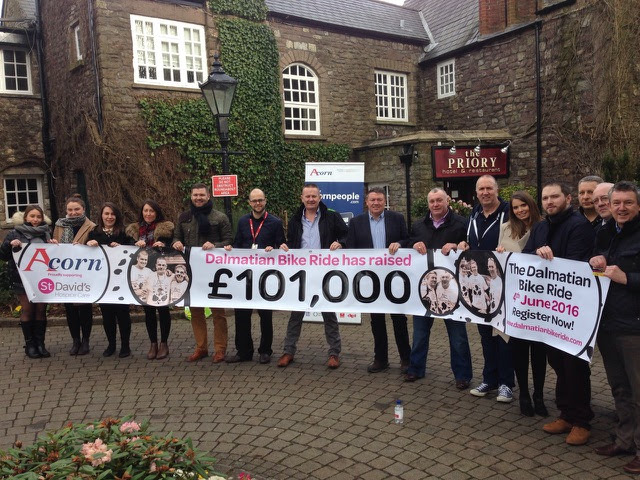 The Dally Team, Acorn Recruitment and The Priory celebrate reaching the milestone of £101,000 for St David’s Hospice Care. 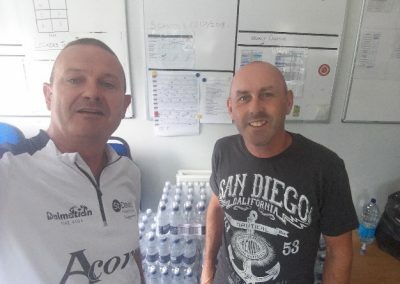 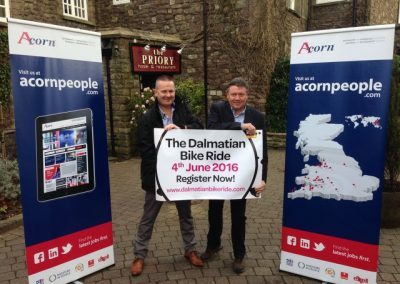 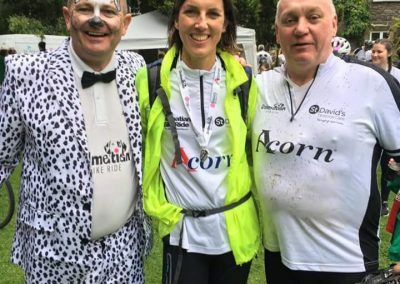 Acorn Recruitment came on board as main sponsor of the Dalmatian Bike Ride in 2014. 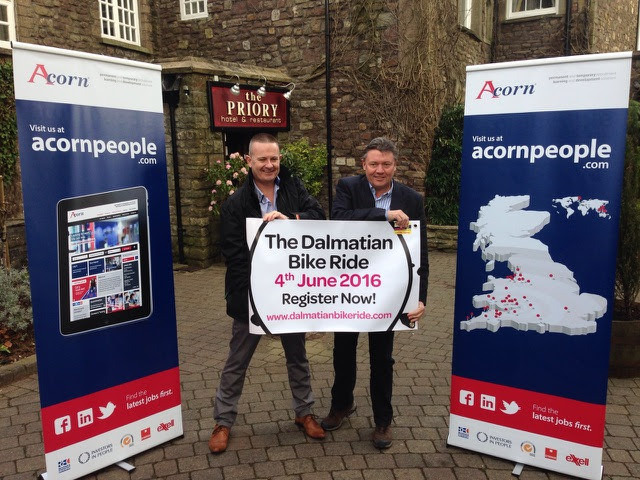 Here’s Dave Rees and Matt Southall promoting the launch of the 2016 event at The Priory in Caerleon. 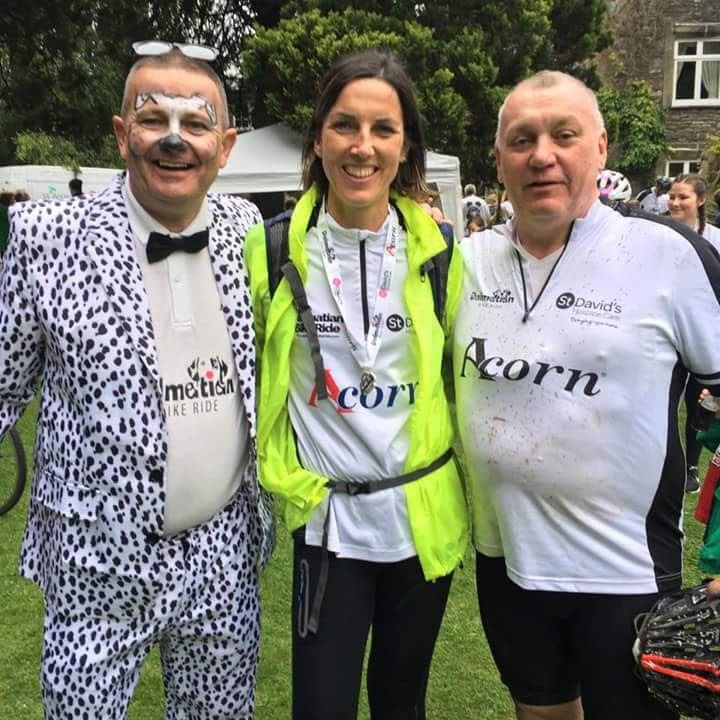 Dave, Rachael and Ratty in high spirits as they celebrate another fantastic event at the Family Finish Festival in Caerleon. 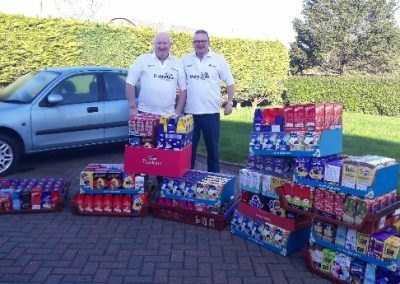 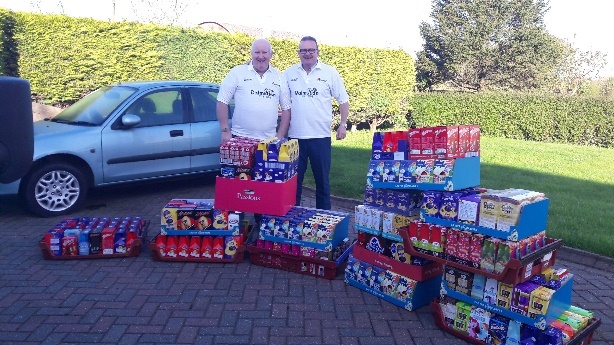 Dave Rees and Bob Screen collecting and delivering 1100 Easter eggs to local hospitals and social services. 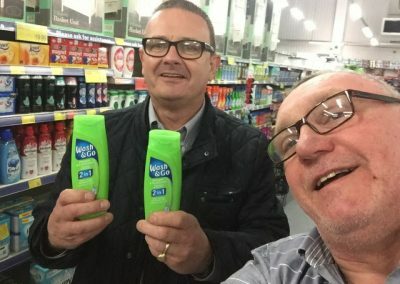 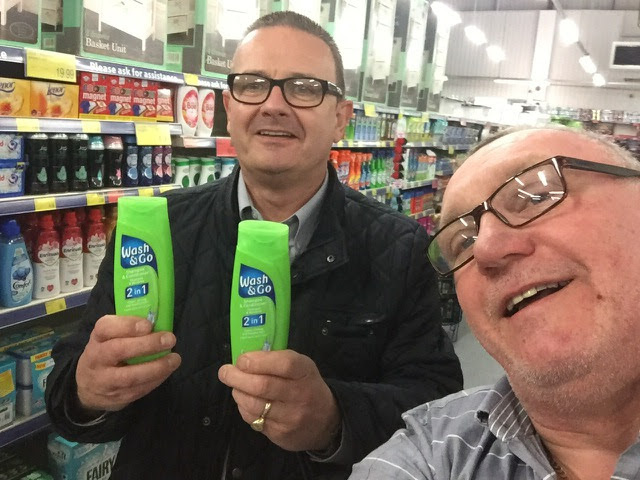 Dave and Ratty collecting toiletries for the local foodbank. 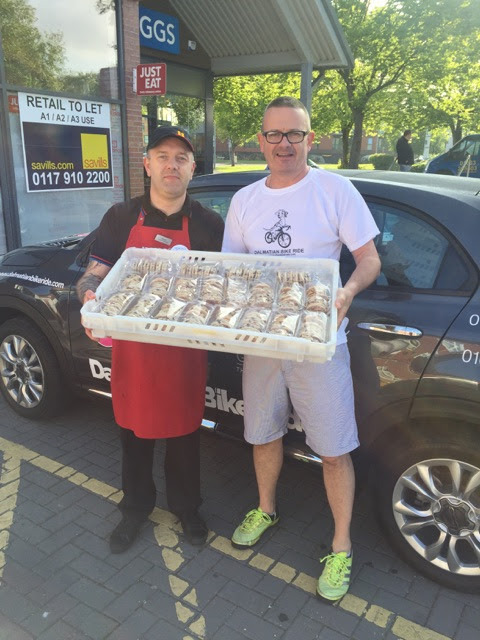 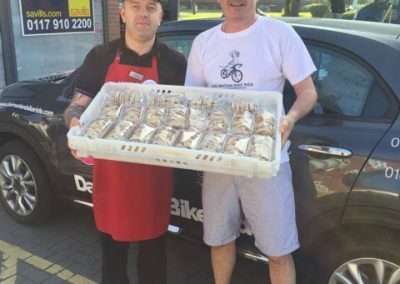 Working with local companies like Greggs who donate snacks like these Welsh cakes to feed the Dalmatian cyclists. 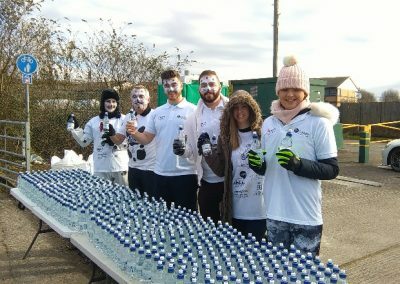 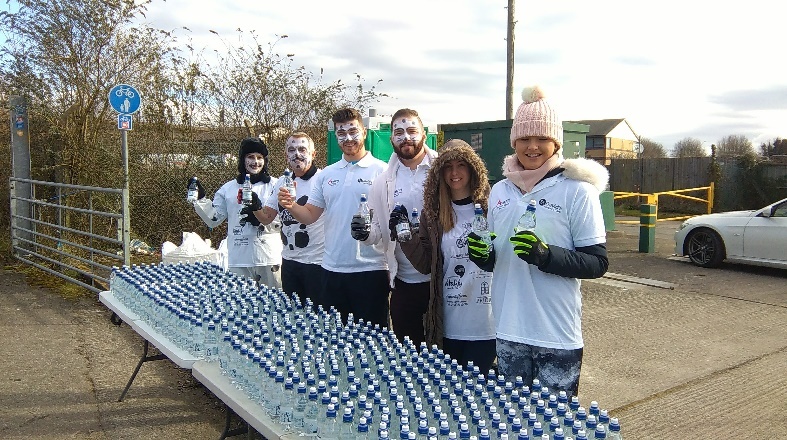 Here’s the Dally team helping to man a water station and cheering on the runners on the Admiral City of Newport Half Marathon. 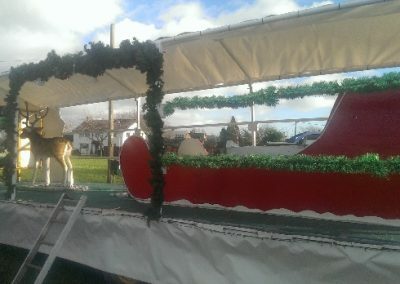 The Dally Team getting to work building the Santa Sleigh so that presents get delivered in Nash. 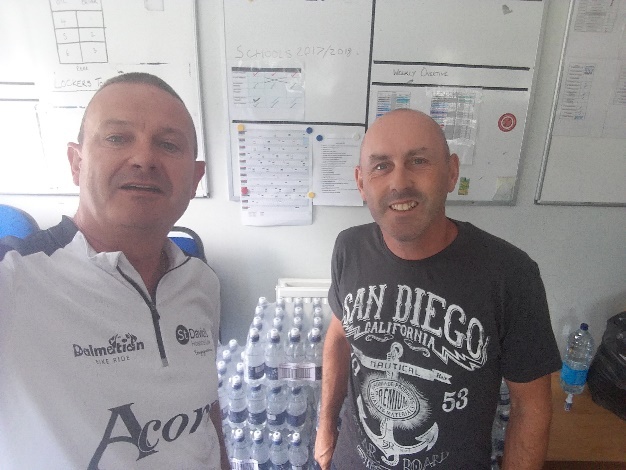 Dave Rees drops off water donated by St Davids Hospice Care to the Fire Crews fighting the wildfires this Summer. 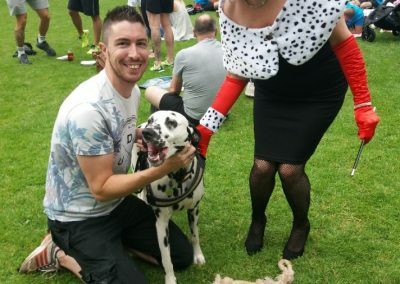 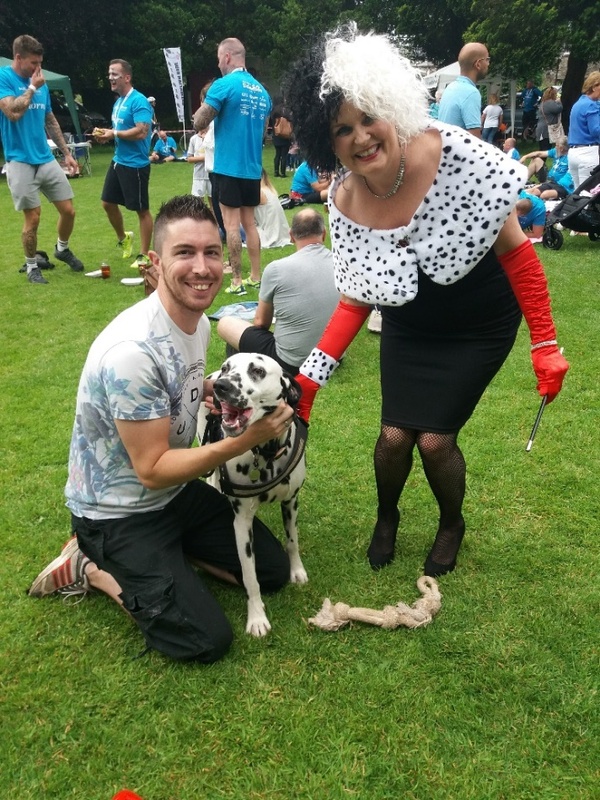 Amanda ‘Cruella’ Wilson in costume at the Finish Festival. 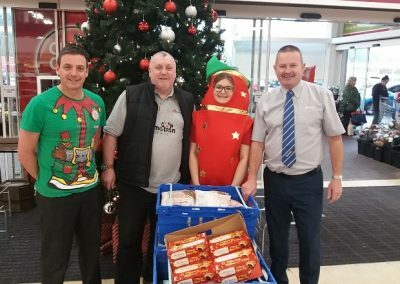 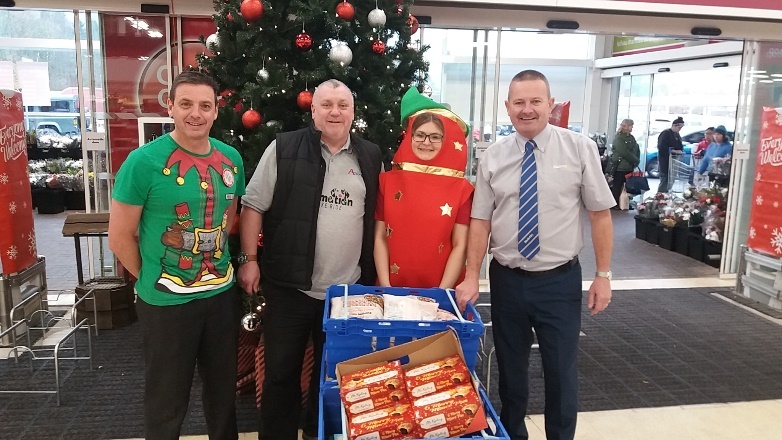 Dave and Ratty meeting with Tesco staff who work with the Dalmatian Team to provide Christmas dinners for Newport’s homeless. 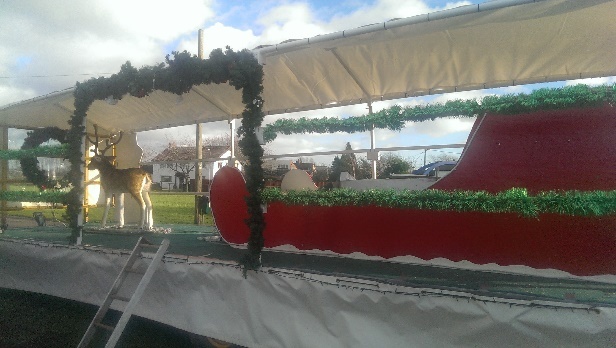 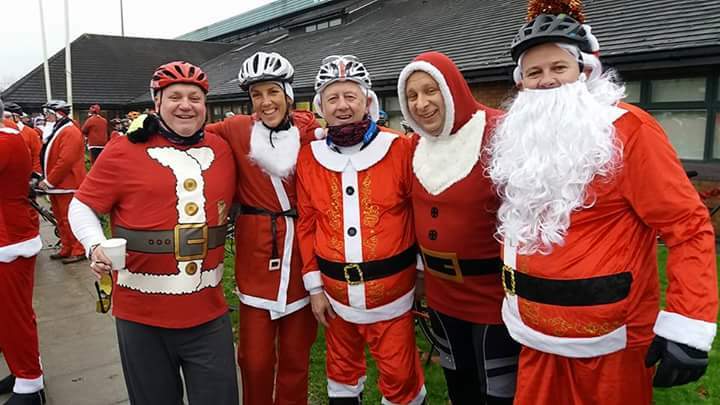 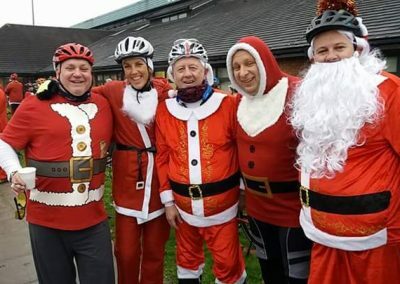 Ratty, Rachael, Lee, Gareth and Dave getting in the spirit by taking in the St David’s Santa Ride. 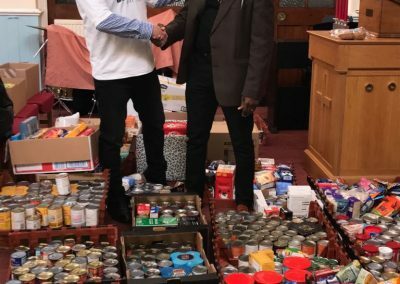 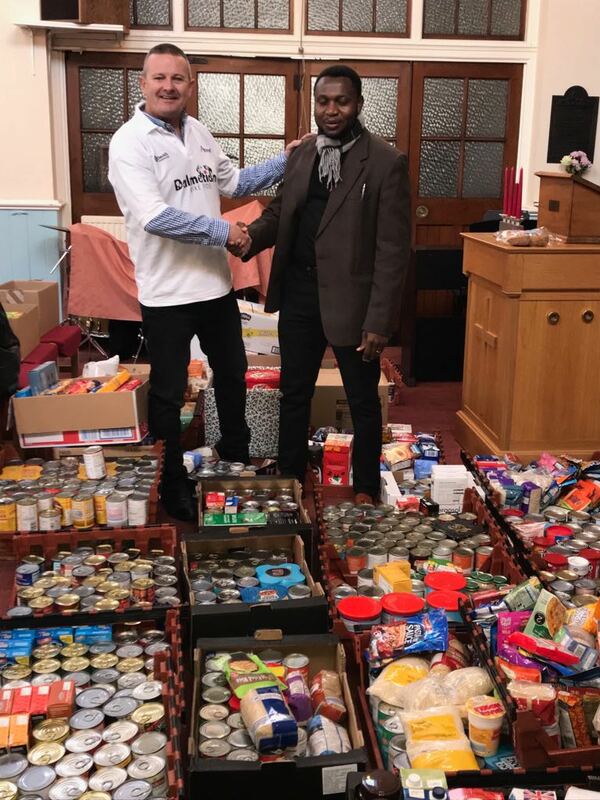 The Dally Team donated 2 months worth of food parcels to the local food-bank. 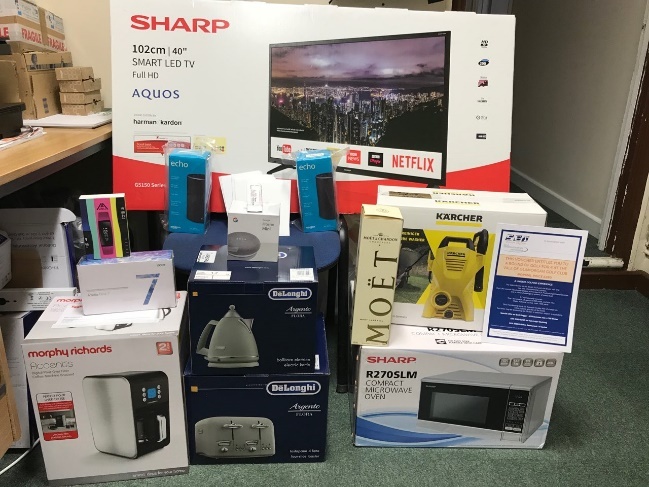 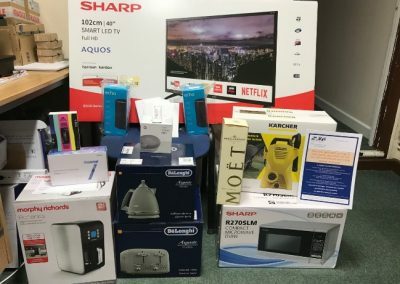 Evans Electrical very generously provide some amazing raffle prizes that help raise a lot of money for hospice care. 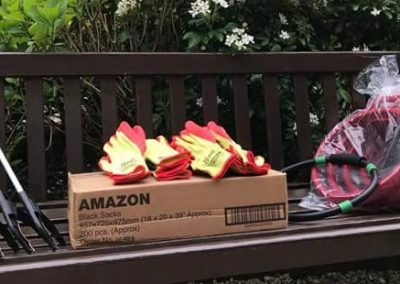 The Dally Team supplied litter picking equipment to Caerleon village as a thank you for supporting the ride. 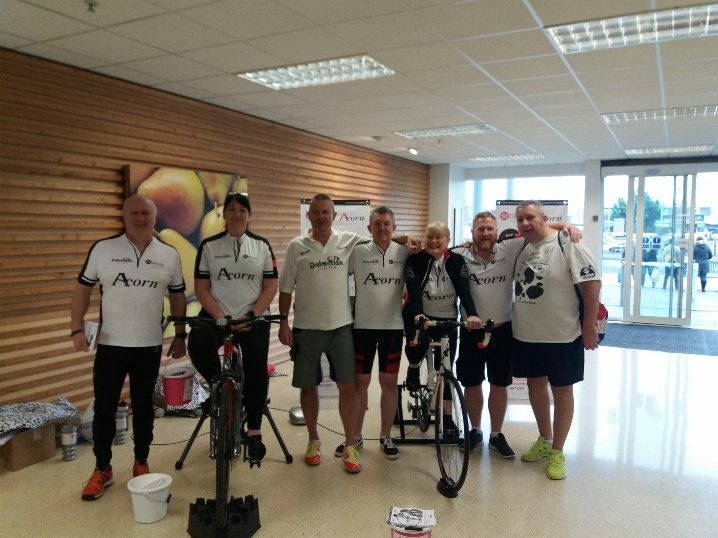 Mike, Dave, Gemma, Lee, Robin and Ratty celebrate reaching another target. 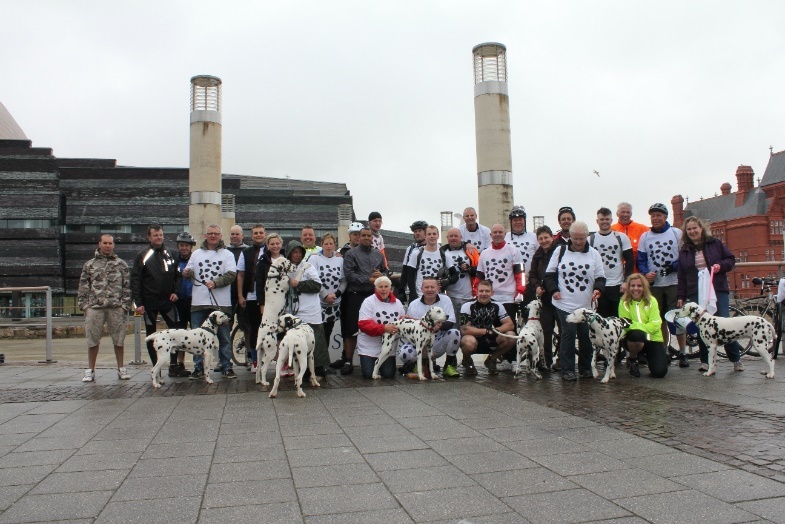 A photo from the first ride as ‘Dalmatians’. 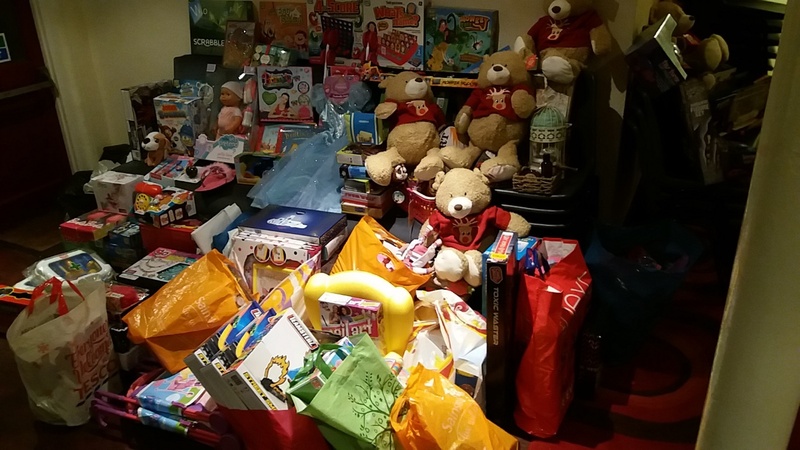 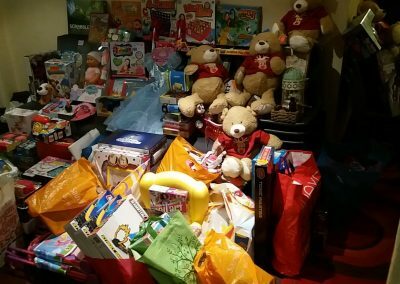 500 presents collected each year for children in social services. 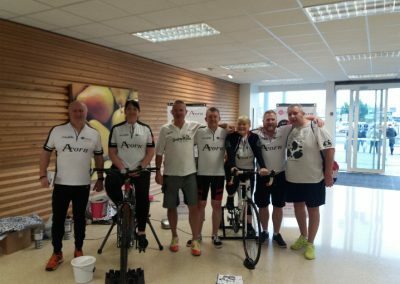 The team and riders raised over £800 for their spinathon. 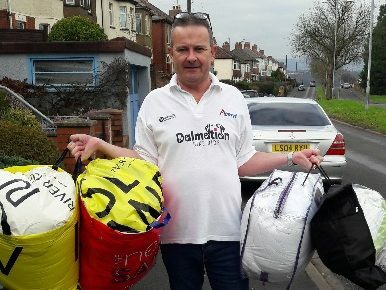 Dave collecting quilts that were given to the homeless at Christmas time.